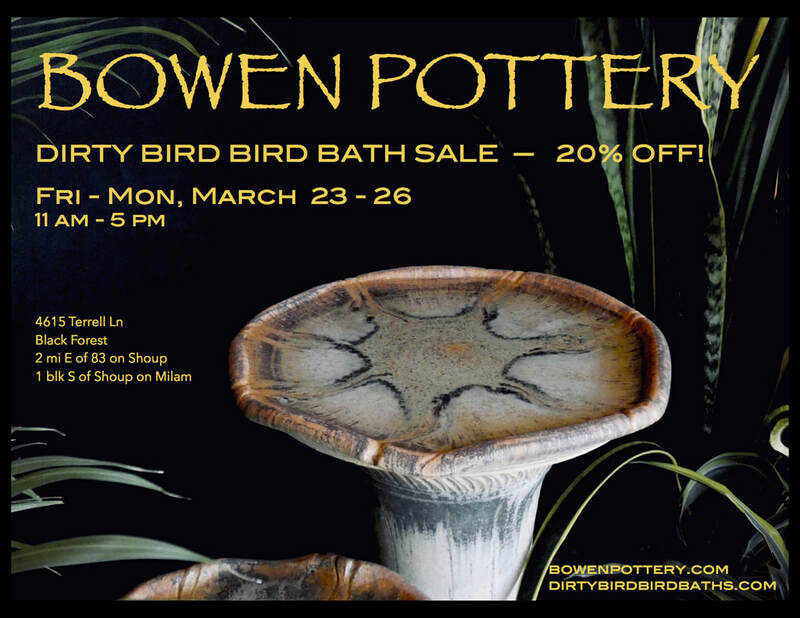 Dirty Bird Bird Baths by Bowen Pottery are great year round! 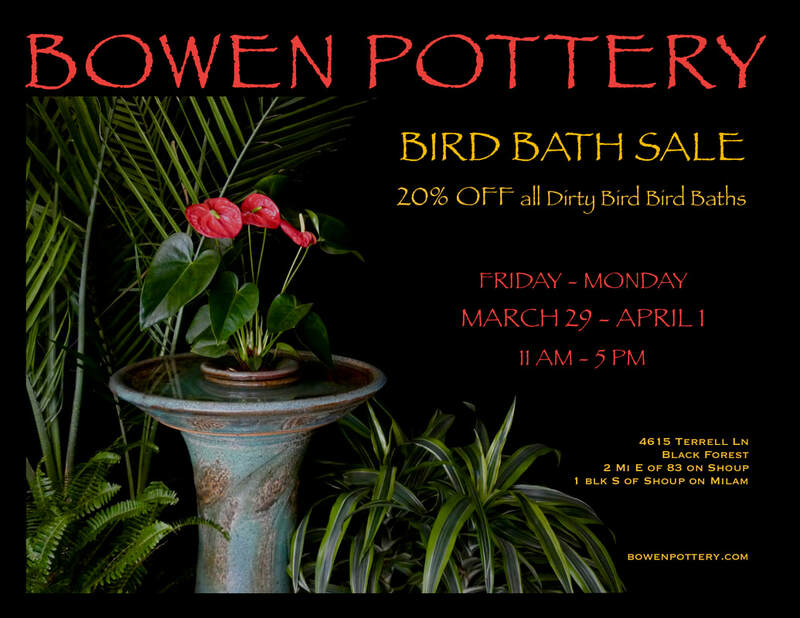 Remember, birds get thirsty even when the weather is chilly! 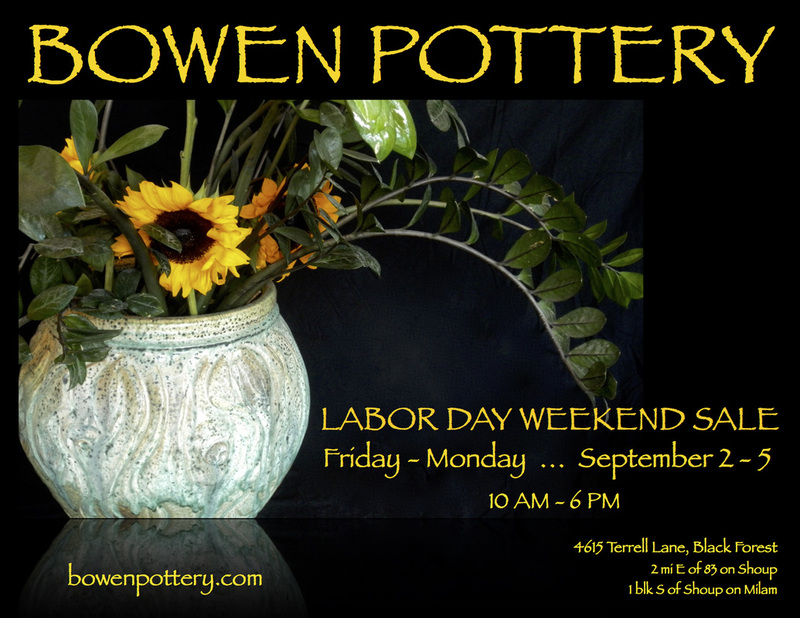 We have three regular sales here at our studio every year, the first on Memorial Day Weekend, the second on Labor Day Weekend, and a third sometime during the holiday season. 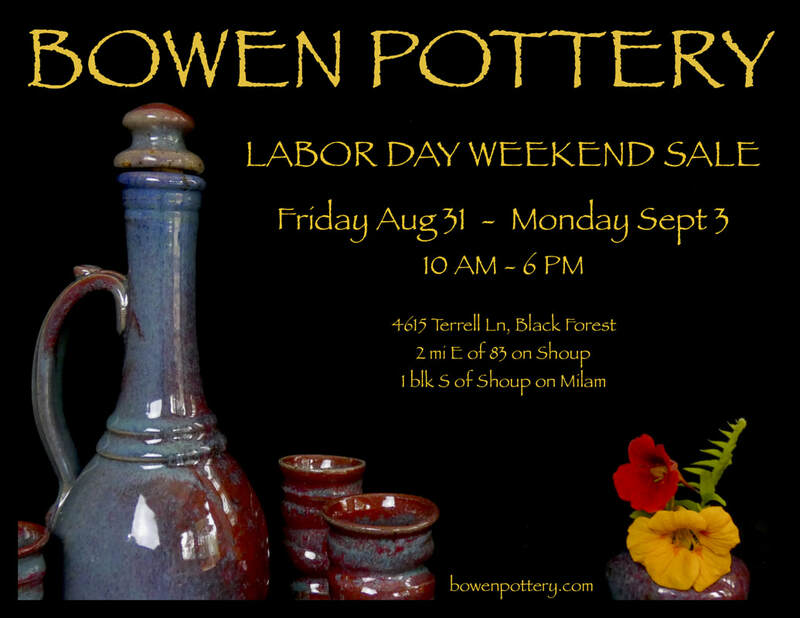 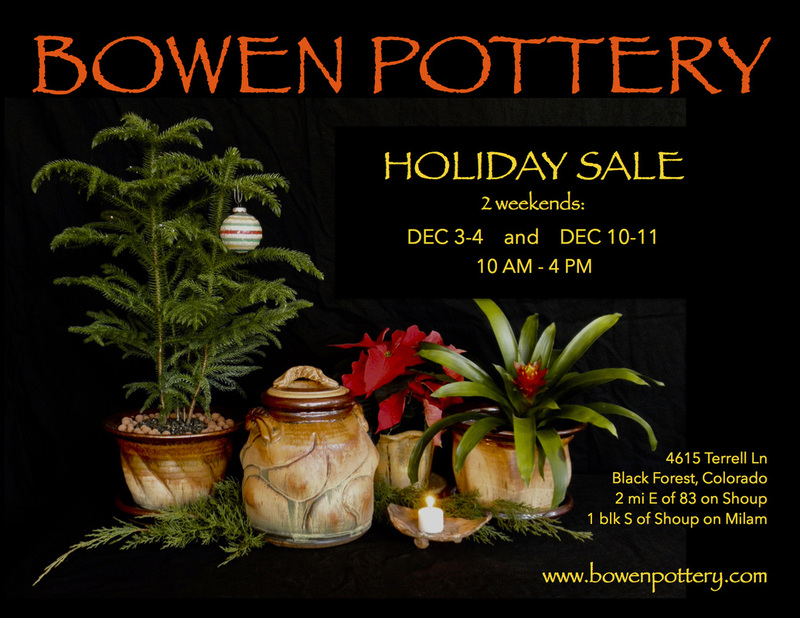 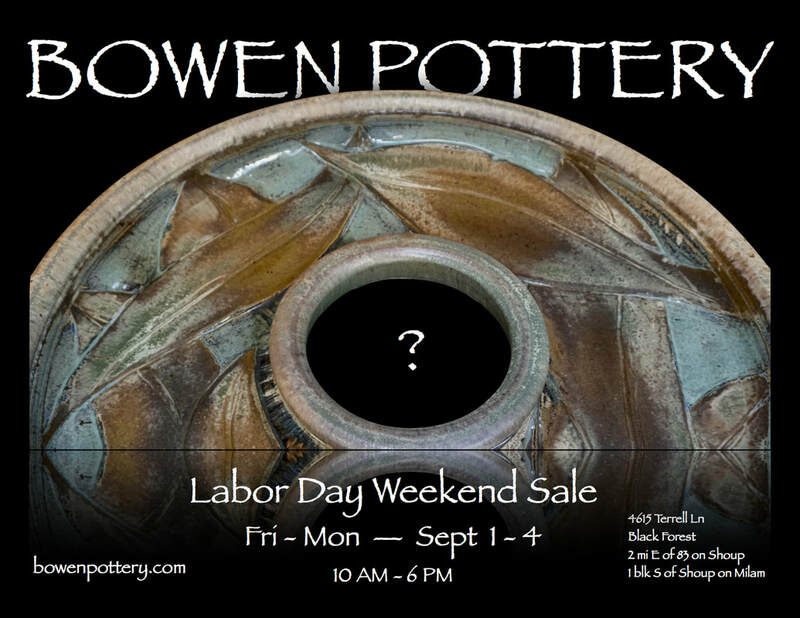 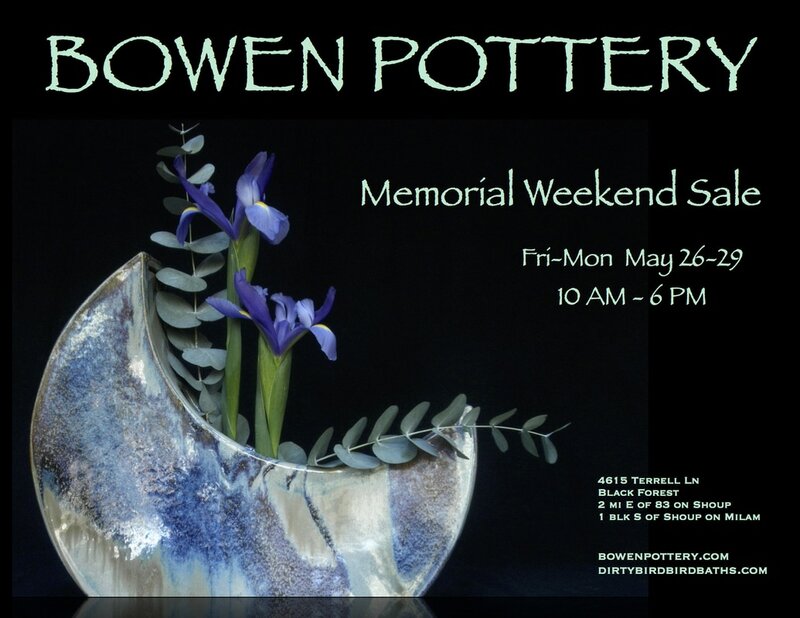 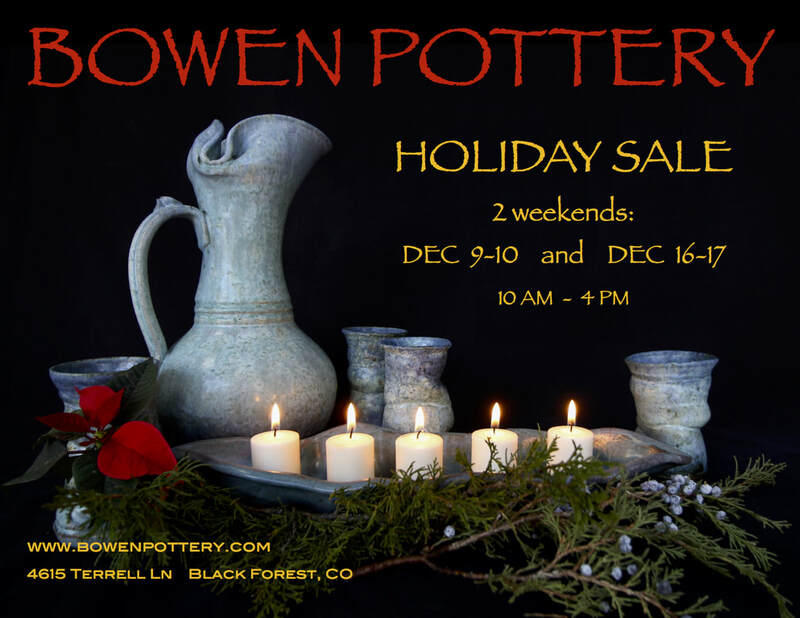 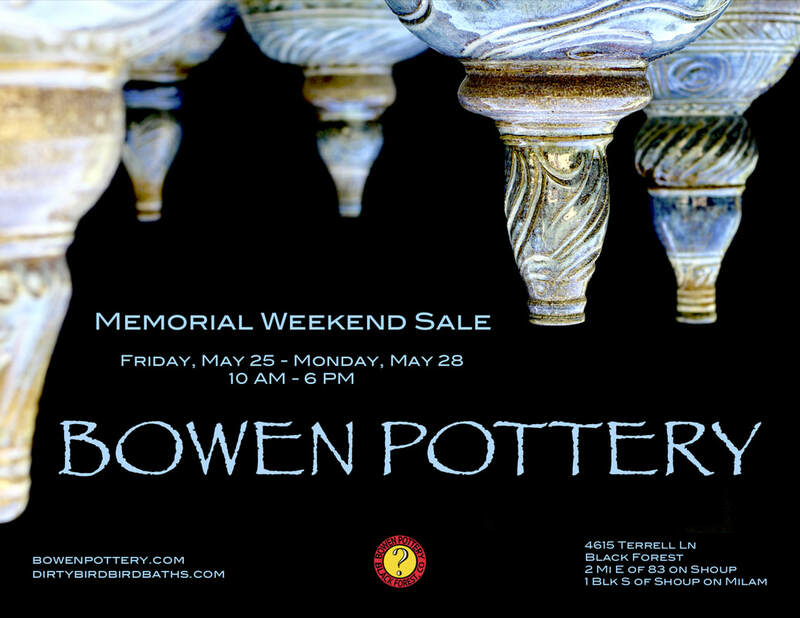 ​Visit bowenpottery.com to see the full range of pottery we create.